Each year, the Patricelli Center for Social Entrepreneurship awards three $5,000 seed grants to fund the launch or early-stage growth of a project, program, or venture. YAF Ghana, run by Ferdinand Quayson ’20, was one of this year’s winners. This is Ferdinand’s second report since receiving funding from the PCSE in March 2018. You can read his first report here. Since our last update at the beginning of the summer, YAF Ghana has seen significant development to our programs. From our scholarship workshops, to our own new office, to starting our scholar program. It has been a very challenging yet fruitful summer. We kicked off our summer activities with our Scholarship Information Sessions which was aimed at equipping students with information regarding the various scholarships and funding avenues available to them after high school. To ensure easy access to the schools we worked with, YAF Ghana partnered with the Ghana Education Service (GES), the main body that administer educational policies on behalf of the government. With letters of support from the GES, we were able to have access to all the schools we worked with. Due to time constraints, we were not able to achieve our goal of reaching 10,000 high school students during our Scholarship Information Session. However, we had over 6,000 students from 10 different high schools in the Wenchi-Techiman Municipality taking part in our information sessions. This is by far the highest students participation in our program since its inception two years ago. We crowned our information session with a 2-day scholarship workshop at the campus of AKUMFI AMEYAH Senior High School at the Techiman North district. This workshop was aimed at taking students through the nitty gritty of scholarship application. From essay writing, personal statements, recommendations, extracurricular activities and other relevant information which are key to a successful scholarship application. Our student panel also brought together students from various universities including Ashesi, Wesleyan, Cornell and Alcorn State to share their experience in the scholarship application process. 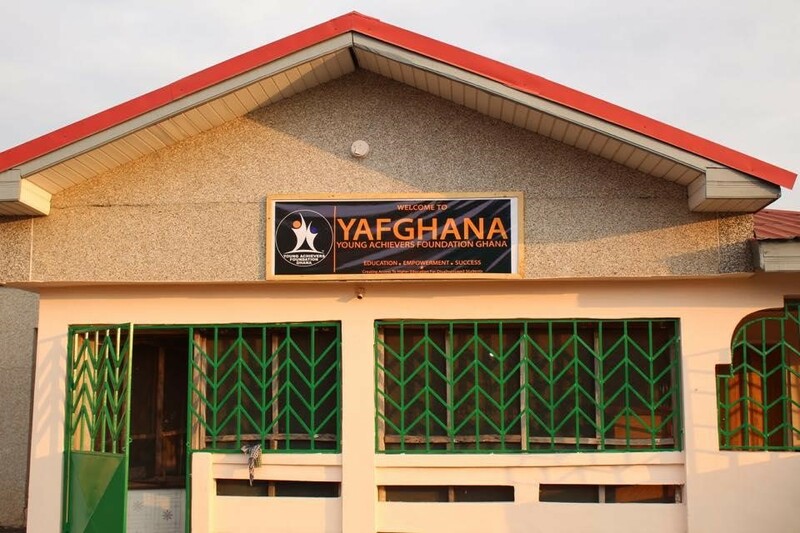 Aside from our Scholarship Workshop and information sessions, one our biggest achievement this summer was the successful acquisition of a 7-bedroom house which doubles as YAF Ghana office and also a base for our Scholar Program. The house contains boys and girls dormitories, a classroom, a library, a Kitchen and an office space for YAF Ghana operations. 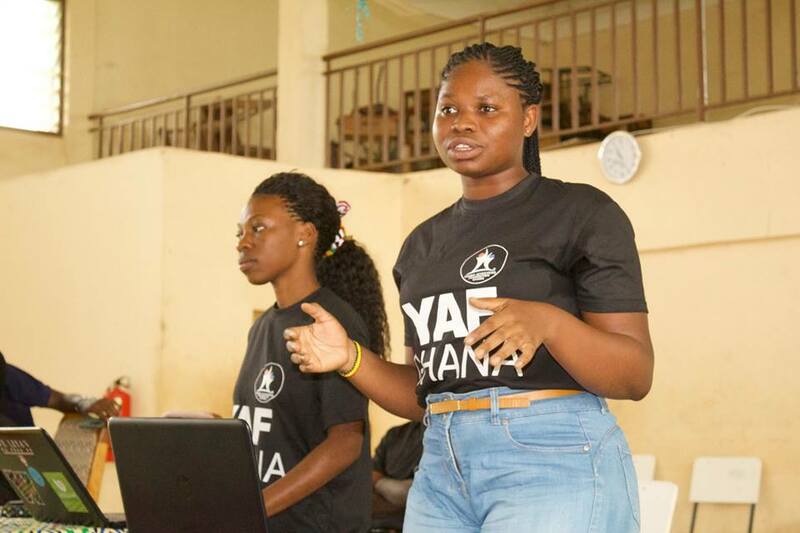 The house has enabled YAF Ghana to expand its scholar program which started last year. The YAF Ghana Scholar Program is designed to help gifted, low-income high school graduates in Ghana to gain scholarships to prestigious universities around the world. Last year two out of three students selected into the program gained a full scholarships to Cornell and Alcorn State University respectively. 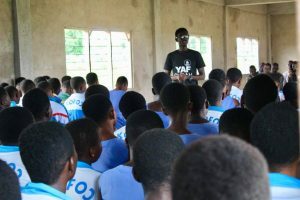 Based on the success from last year, YAF Ghana has increased the number of scholars from three to ten students this year. 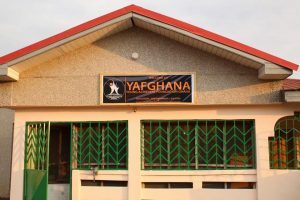 The YAF Ghana house will be instrumental to the scholars in terms of their preparation and college application processes. Finally, plans are currently underway to establish YAF Ghana Clubs in our partner schools starting this Fall. The clubs will be made up of highly motivated, low-income, high school students with passion to pursue higher education upon graduation. Members will receive support and guidance from YAF Ghana mentors and trained volunteers in their scholarship application journey. Overall, our summer was a busy one but we are happy with the significant development we have made so far. We will continue to update you on the progress of our scholars program and the YAF Ghana Club. We appreciate all your support.